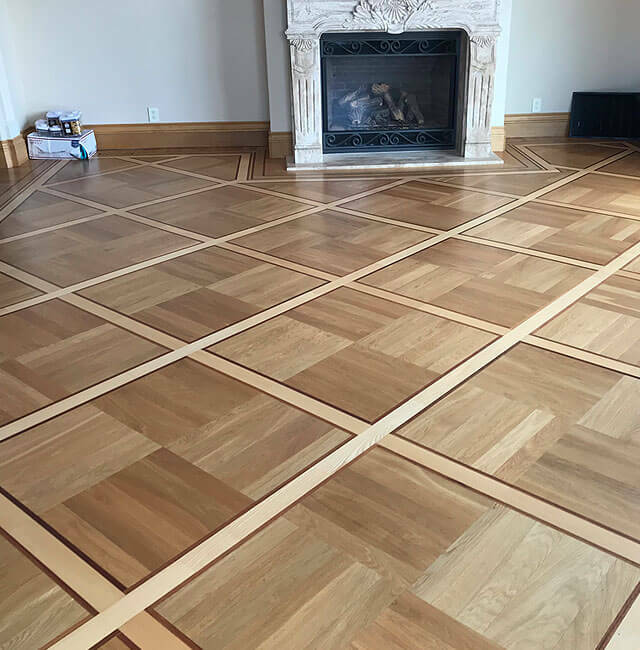 Whether you want to install prefinished maple floors throughout your house in Belmont or add custom-designed medallions and borders for your restaurant's dining room floor in Redwood City, give Blueline Floors a call and we will take care of everything, from design to finish. 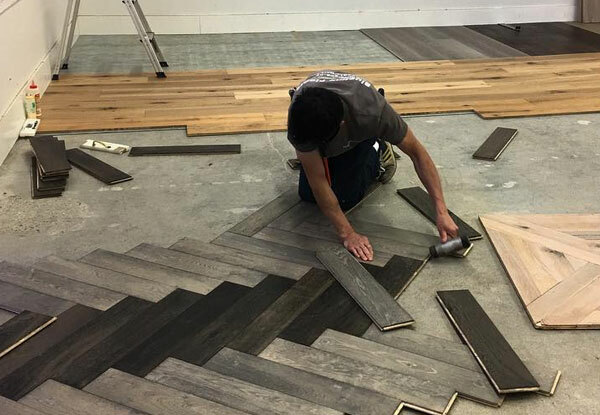 At Blueline Floors, we offer a wide range of prefinished, unfinished, and engineered hardwood flooring options in countless widths, thicknesses, grades, wood grains, and styles, including distressed and hand scraped. Some of our more popular wood species include European oak, French oak, maple, pine, and hickory, as well as exotic woods such as Brazilian cherry, teak, Brazilian walnut, and African mahogany. If you're not sure which type of wood you would like, our knowledgeable and friendly staff can offer expert advice on choosing the ideal hardwood for your intended usage, lifestyle, and aesthetic preferences. All of our professional flooring installers have over 10 years of experience, and always use the industry's best practices to craft beautiful, durable, and long-lasting hardwood floors that are installed on time, in budget, and according to the required specifications. For stunning, one-of-a-kind hardwood floors you won't find anywhere else, consider a specialty finish or a custom cut and installed design, such as an inlay, border, and/or medallion. 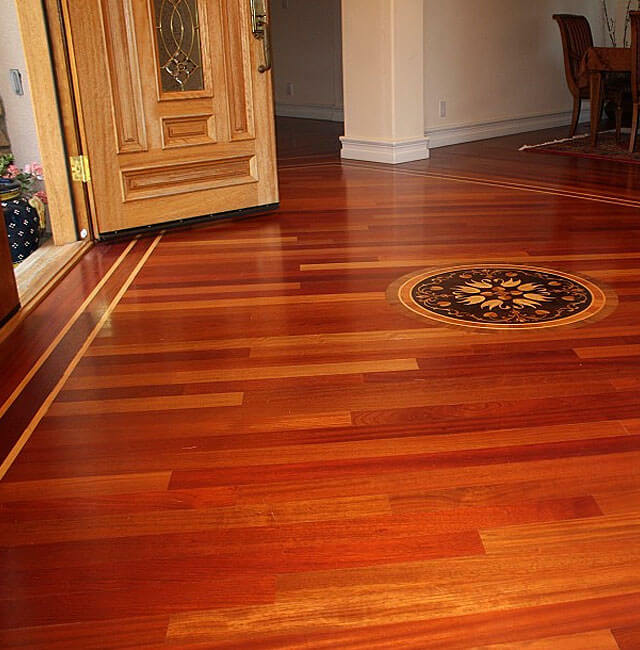 Every beautiful hardwood floor begins with a solid subfloor. That's why we take extra time to ensure that all necessary prep work is completed according to the highest standards. This often includes a process of cementing, sanding the subfloor, and removing any staples and loose parts. We also schedule your selected hardwood to be delivered in enough time for the wood to acclimate to the native humidity before we begin laying the floor. 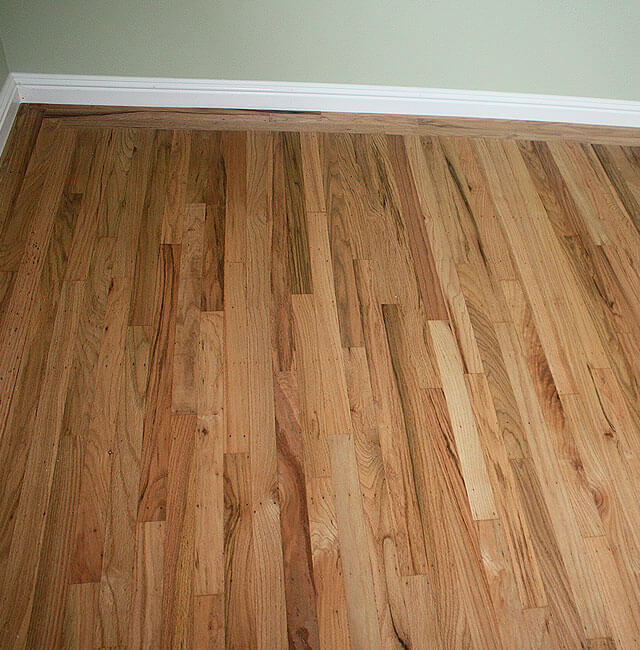 This process usually takes 1-2 weeks for most unfinished hardwood floors, and a few days for prefinished hardwood. The experts at Blueline Floors can assist you in choosing the most effective wood finish to meet your needs and achieve the look you are envisioning. Before recommending any of our high quality water-based polyurethane, oil-based polyurethane, or pure oil finishes, we take a variety of factors into account, such as the type of wood you have chosen, your intended usage, amount of traffic, and your location's specific climate. We only use premium wood finishing products from trusted brand names Duraseal and Bona. At Blueline Floors, we really care about our customers. That's why we make every effort to work around your schedule, and can arrange your hardwood flooring installation at a time that is convenient for you. Call today to set up a complimentary on-site estimate with one of our experienced installers. We serve all of San Mateo County, including San Mateo, Belmont, San Carlos, Burlingame, Redwood City, Menlo Park, Palo Alto, and Saratoga, as well as nearby cities in the Bay Area, such as San Francisco and San Jose. 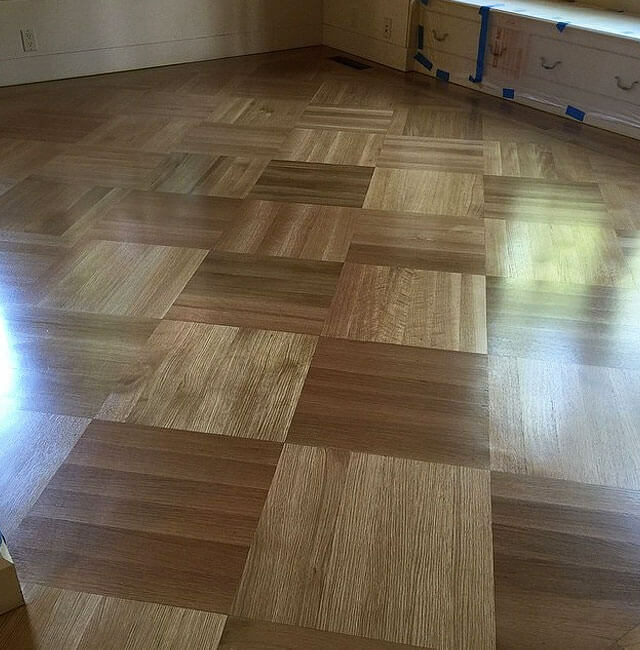 We installed this herringbone pattern hardwood floor in our San Mateo showroom. 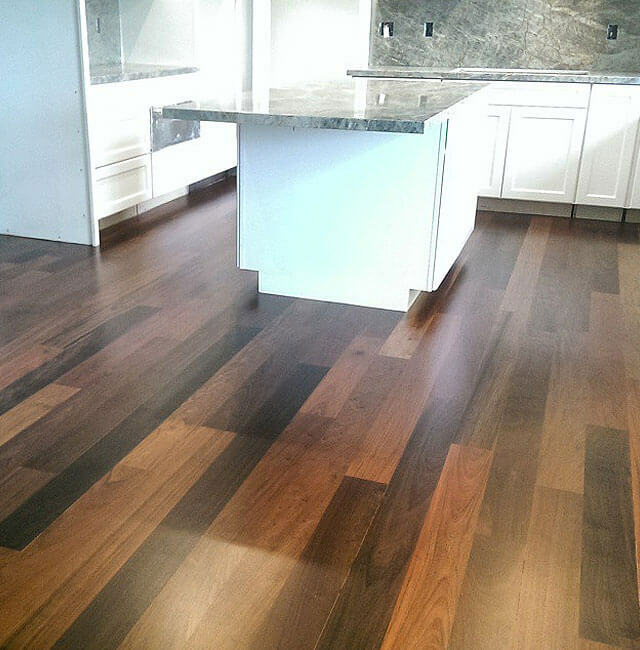 Our hardwood floors are beautifully crafted, expertly installed, and designed to last for years to come.